JK Rowling is Writing a New Movie Set in the World of Harry Potter! Yes, you read that story title right. JK Rowling is currently working on a new Harry Potter movie. I’ll let you take a moment to get control of yourself. I mean, I still don’t quite know how to contain all my feelings right now. The impossible – it seems – has suddenly become quite possible. Now, while this news seems to have come out of nowhere that may not entirely betrue. If you’re a serial Twitter fan, you may have been aware that over the past weekend there was a lot of talk about JK Rowling writing an eighth Harry Potter book. Most people were quick to shoot down that rumor – largely because the only evidence of the sort was from an April Fools joke website posted a while back. It turns out, though, that the rumors may not have been entirely wrong. We’re not getting another Harry Potter book but we are getting another Harry Potter movie. Well, we’re getting another movie set in the magical world of Harry Potter at the very least. JK Rowling has confirmed that she is, in fact, working on the developing the story and screenplay for a movie based on the short, textbook-style book Fantastic Beasts and Where to Find Them. For those who aren’t familiar with this book JK Rowling published it way back in 2001 alongside Quidditch Through the Ages as part of a charity fundraising effort for Comic Relief. From what I understand, eighty percent of the proceeds from both books still goes to funding efforts to support children in need. 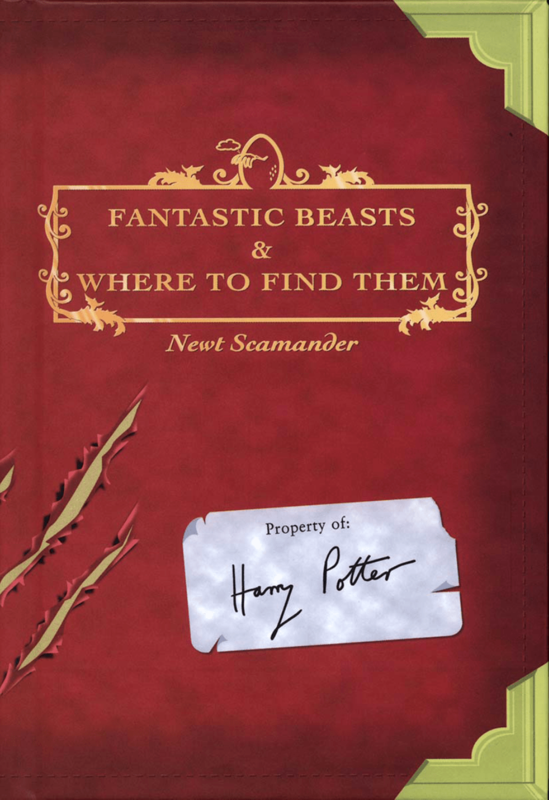 The book takes its name and subject matter from a book of the same name that was mentioned in Harry Potter and the Sorceror’s Stone and is held out as if it really were written by the author, Newt Scamander, a renown magizoologist as he traveled around cataloging magical creatures. Details have emerged that Fantastic Beasts and Where to Find them will be the first in a proposed series following Newt on his journey to catalog the magical creatures of the world. The film will be set seventy years before the Harry Potter series and will begin in New York. Rowling claims that this film – and it’s potential sequels – will not be either a prequel or a sequel to Harry Potter. They will merely be set in the same world. That in itself is exciting enough if you ask me. I mean, how often do we really have the opportunity to see stories and worlds get developed and built upon quite like this? But while Rowling may intend for all that to be true, it’s hard to imagine that this series won’t serve in some way as a prequel series or at the very least have plenty of little Easter eggs for the fans. Beginning in the 1920s, Newt Scamander’s story will be introducing us to a whole new era and location where the potential and possibilities are practically endless. We don’t know a lot about wizarding America at all and out historical background for the wizarding world has been pretty limited. Rowling is giving herself plenty of freedom to step away from the books in order to develop this new sort of world for the movies. Still, I will bet that there will be plenty of throw backs to the original source material. Maybe we’ll see some of the older Black and Potter family members visiting from across the pond in a crazy, unruly post-war New York City. Or – if we’re really lucky – maybe the timeline will progress enough that we’ll get to see some of young Dumbledore and young Grindelwald. Rowling has said, after all, that Dumbledore has always been the character she’s missed the most. I wouldn’t be surprised, either, if JK Rowling potentially had a few throwbacks to her own post-Deathly Hollows world building, either. I could see a very old Newt Scamander telling his great-grandsons Lysander and Lorcan about his journeys while Rolf and Luna listen on. It’d be just the cute, epilogue-esque sort of thing she would do, I think. Actually, what would have been nice is a sequel sort of story with Rolf and Luna meeting and going on adventures with a kooky old Newt Scamander but, really, I’m not going to be picky here. It’s a new Harry Potter movie! I’m still having a hard time wrapping my head around all the possibilities here. What about you? Now that you’ve heard the news and seen what’s on the agenda so far, what are you hoping to see in Fantastic Beasts and Where to Find Them? Do you think that New Scamander can fill Harry Potter’s shoes? Are you worried that this is nothig more than a money grabbing attempt by Warner Bros. so they can keep cashing in on the Harry Potter hypes? Let us know what you think about all this in the comments! Also, you can read the full press release from Warner Bros. here. ← Goodbye Nothing. Let's Make Plans.